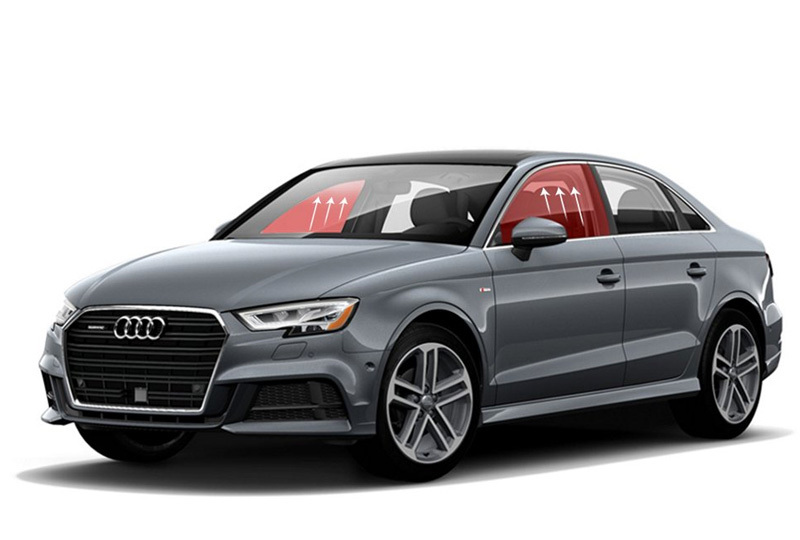 The 2019 Audi A3 Sedan from Audi Orange Park in Jacksonville, FL, serving Orange Park, San Jose, and Mandarin, is the luxurious daily driver that packs a punch. Operating with a 2.0L 4-cylinder engine with 184 horsepower and 222 lb.-ft. of torque, this athletic sedan also features a 7-speed S tronic® dual-clutch automatic transmission. Opt for the available legendary Quattro® all-wheel-drive system to really get up and running. Onlookers can't miss the bold Singleframe® grille, Xenon plus headlights with LED daytime running rights, or LED taillights with rear fog lights. You, on the other hand, will be busy enjoying twelve-way power front seats with lumbar adjustments and leather-trimmed seating surfaces. Stay comfortable no matter the season using dual-zone automatic climate control and a panoramic sunroof. Audi concert radio with 9 speakers and a CD player will pave the way for you to hold your own jam sessions directly from the front seat. Pause for just a moment to use the Bluetooth® hands-free phone system. When it's time to go home, the rear vision camera and parking system plus make backing into or out of any parking space easier than ever before. Now is the best time to buy a new Audi! We have an amazing selection of 2019 models at incredible savings, and new auto loan rates have never been lower. Take a test drive today to experience Audi's Truth in Engineering. Stop by our showroom at 7230 Blanding Blvd, Jacksonville, FL 32244. We can't wait to see you in the 2019 Audi A3 Sedan of your dreams! 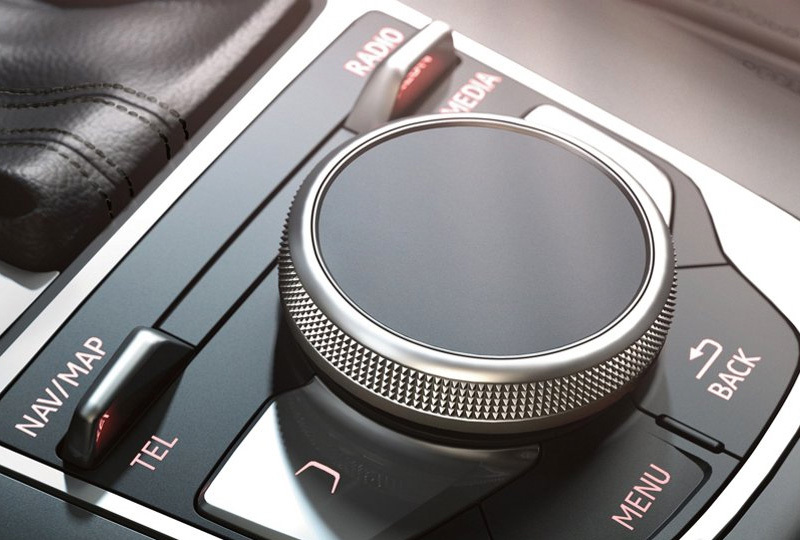 The interior of the 2019 A3 Sedan features an available Audi virtual cockpit, letting the driver customize information such as audio and available MMI® Navigation plus via an intuitive, fully digital display. Other amenities include a three-spoke multifunction steering wheel, split folding rear seatbacks and more. 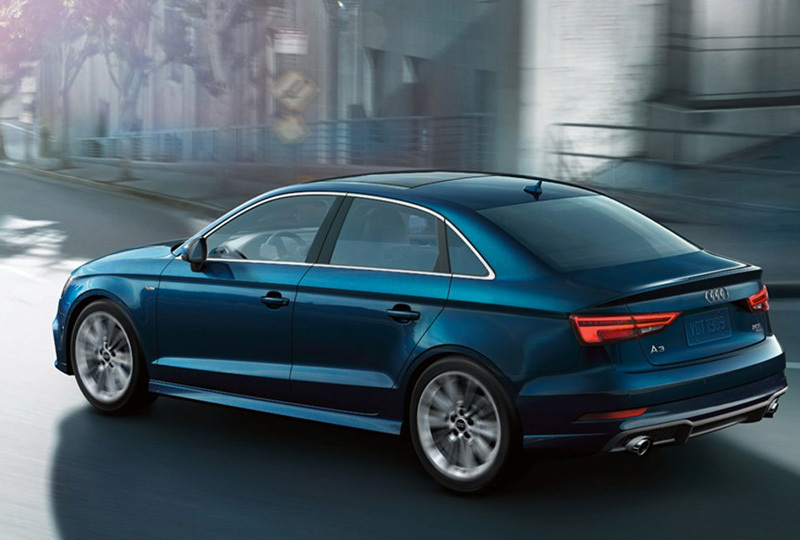 Don't be fooled by the compact size of the Audi A3 Sedan - the turbocharged 2.0-liter TFSI® engine packs a punch. Mated with a seven-speed S tronic® dual-clutch transmission, the front-wheel drive A3 has 184 horsepower and 222 lb.-ft of torque, while the available quattro® all-wheel drive A3 features an amped-up 228 horsepower and 258 lb.-ft. of torque. Audi pre sense® basic is standard on the A3 Sedan, and can aid during emergencies by beginning to close the side windows and sunroof and by tightening the front safety belts. Additionally, Audi pre sense® front - standard on all trims - helps prepare for a front-end collision. 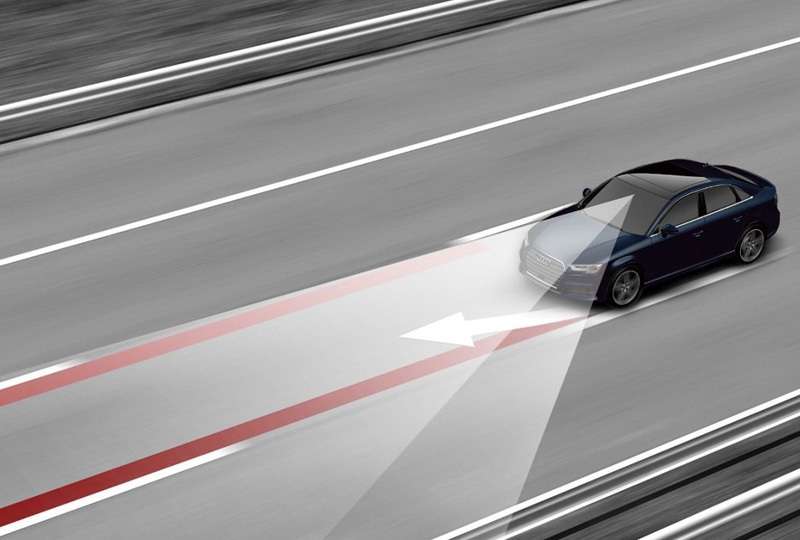 An available system, Audi park steering assist can automatically steer the car into parallel or perpendicular parking spaces. It uses ultrasonic sensors located in the front and rear bumpers and on the sides. The only actions required of the driver while parking are accelerating, shifting gears and braking, and the system can handle the steering.